The Womenâ€™s Studies Research Center is home to a robust collection of artistic creations by national and international artists working in a range of media, including sculpture, printmaking, painting, fiber arts, drawing and photography. 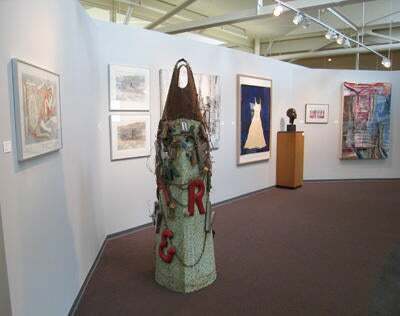 The collection comprises dozens of works donated to the Center by the artists or by friends and family members of the artists over the years. Some have been on long-term loan from the Rose Art Museum. Some of the artists have enjoyed illustrious careers, while others remain unknown or obscure. Either way, their work is compelling, sometimes provocative, and always representative of the diverse intellectual and artistic community that is the WSRC.